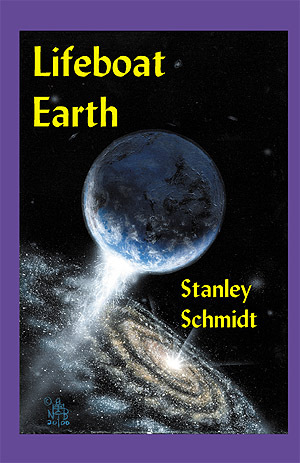 Volume Two of Stanley Schmidt's Classic Saga of the Planet in Peril. The planet has escaped the doomed Milky Way -- but who will survive a journey that could be as deadly as the radiation blast that will wipe all life in the Galaxy? Includes a new afterword by the author. A sampler of the text of Lifeboat Earth can be viewed by clicking on this link. You can order ebook editions of Lifeboat Earth from the following outlets. The links below will take you directly to the order links for this title. Lifeboat Earth from the Apple iBook Store. You may order the print edition of Lifeboat Earth from FoxAcre Press, or from most major online booksellers. The links below will take you directly to the order links for this title.